Fully enclosed and lockable, these trailers come in three different sizes – small, medium and large – and are versatile enough to handle a range of different loads. Online bookings are the quickest and easiest way to book a trailer – with customers able to book in their own time, secure in the knowledge that the trailer will be ready when they are. To find specials near your area, enter your postcode or suburb and then choose “One Way” or “Weekend” Specials. Trailer Rentals offers the convenience of one-way trailer hire – a great solution for people moving their possessions long distances. To view the vast range of products available for hire or to get a quote go to www.trailerrentals.com.au or phone the Call Centre on 1300 883 075.You’ll be amazed how easy it is! 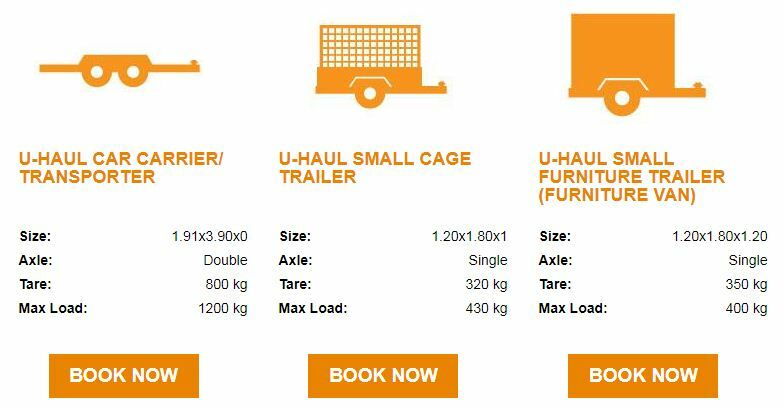 Become one of our satisfied customers who have experienced the best deals on cage trailer rentals in Australia.